MIAMI—On his historic visit to Havana on Sunday, President Barack Obama will be accompanied by a group of prominent Cuban-American businessmen who have one thing in common. For years, they all opposed the very kind of trip the president is taking. The presence of this wealthy and influential group reflects the transformation of Miami, the capital of the U.S.’s economically successful and politically powerful Cuban-American community. For decades, these men opposed any attempt to soften relations with Cuba’s Communist government. And all, at different stages in their lives, changed their minds. 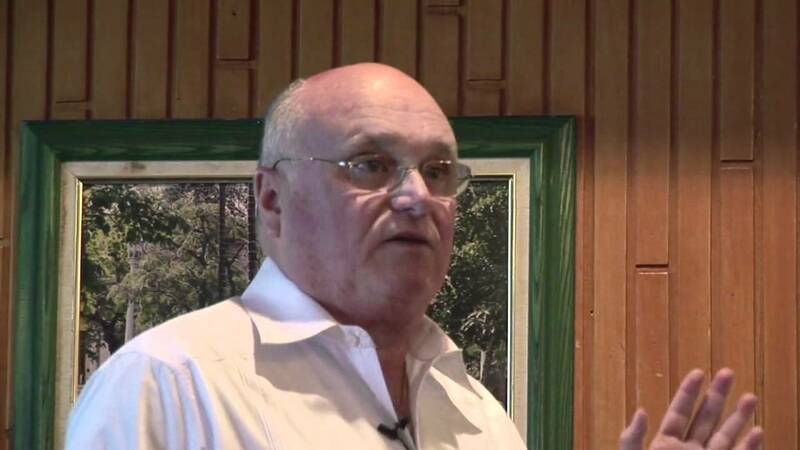 “We had to decide whether we were going to be an obstacle to a transition in Cuba or an asset to that transition,” says businessman Carlos Saladrigas, 68 years old, who in 2000 founded the Cuba Study Group, a nonprofit that pushed for U.S. engagement with Cuba. Their change of heart mirrors a broader shift among Cuban-Americans. 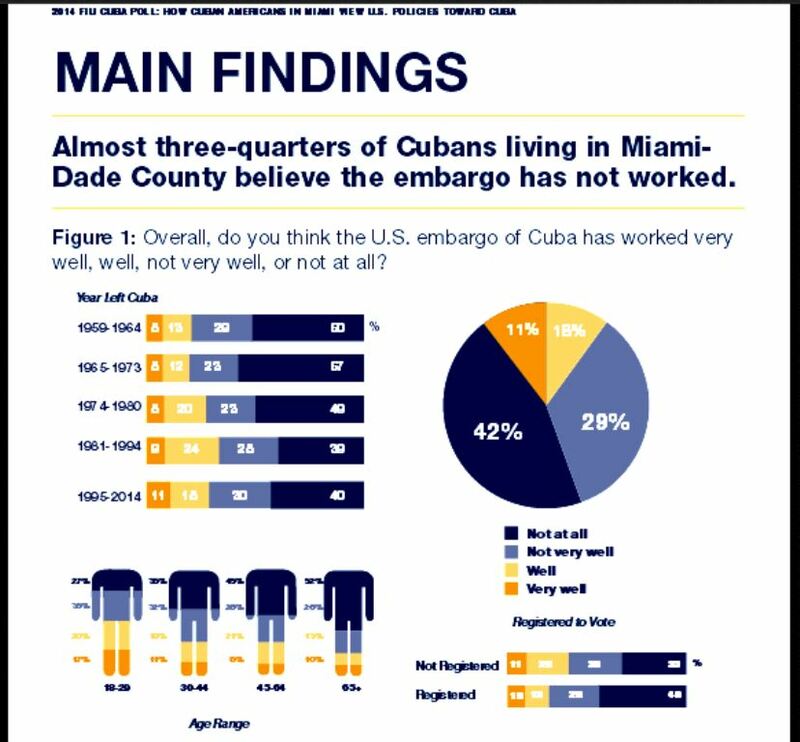 In Miami-Dade County, Cuban-American support for the U.S. trade embargo fell to 48% in 2014, from 87% in 1991, according to polling by Florida International University. Having support from such an influential group of businessmen helped give the president political cover as he pursued a major shift of policy, say Cuban-Americans and former White House officials. Support for the embargo is a fundamental issue for Florida Sen. Marco Rubio, who dropped out of the Republican presidential race this week. Republican candidate Sen. Ted Cruz also opposes rapprochement, which he says has thrown the regime an economic lifeline. Not until the 2016 presidential election contest is settled will the long-term prospects of the Obama administration’s policy be clear. Among the Cuban-American businessmen to shift are sugar magnate Alfonso “Alfy” Fanjul, one of the owners of Fanjul Corp., one of the largest sugar producers in the U.S., Mike Fernández, a wealthy health-care entrepreneur who was a major donor to former Florida Gov. Jeb Bush’s campaign, and Carlos Gutierrez, who retired as chairman of Kellogg Co.after a 30-year career to serve as President George W. Bush’s commerce secretary, a position from which he supported the Bush administration’s hard line on Cuba. Mr. Saladrigas, Mr. Gutierrez and Andres Fanjul, Alfonso Fanjul’s younger brother, will be among the Cuban-Americans accompanying Mr. Obama on the trip. 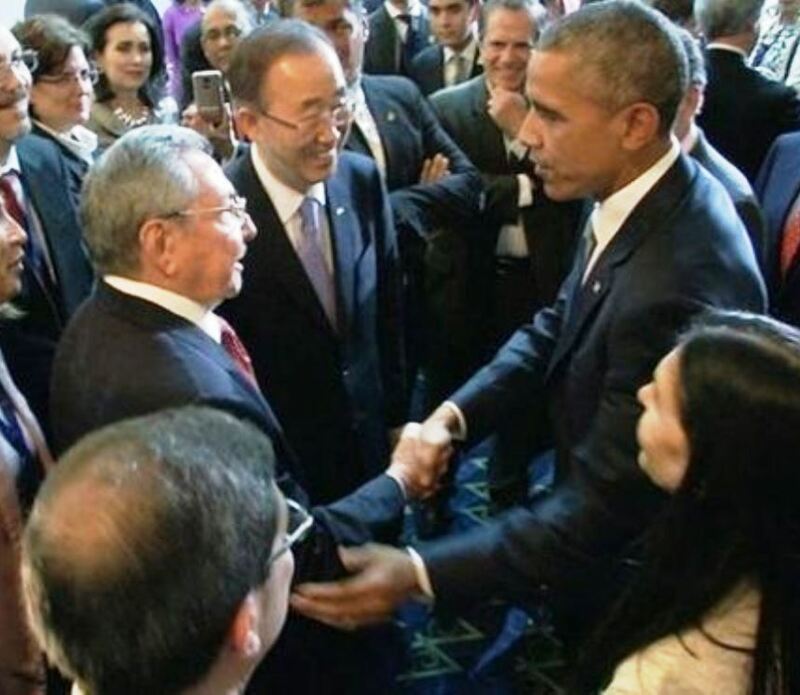 Mr. Obama is expected to meet with Cuban President Raúl Castro, take in a baseball game between Cuba’s national team and the Tampa Bay Rays, and meet with dissidents, members of civil-society groups and Cuba’s fledgling entrepreneurs. For each of the businessmen, Cuba is a personal and passionate matter. Some had family members executed by the Castro regime; others had relatives who spent years in prison. Some, such as Mr. Saladrigas, came to the U.S. as unaccompanied children, initially juggling lowly jobs and studying at night. All of them lost their homes. “The one important thing we all share is that although we left Cuba, Cuba never left us,” says Mr. Saladrigas. Messrs. Saladrigas and Fernández and a handful of the others involved in the outreach program have vowed not to do business on the island for fear of appearing to profit from their activism. “Because of the importance of what we are doing, we have to stay clear,” says Mr. Fernández. 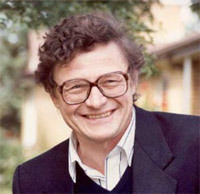 In 1997, Mr. Saladrigas led Miami Cuban-Americans in opposition to plans by the Catholic archdiocese to send a cruise ship full of Catholics to greet the late Pope John Paul II in Havana the following year. Faced with Mr. Saladrigas’s opposition, the archdiocese dropped the plan. As decades passed, the Castro regime survived and pinned blame for the country’s economic failures on the embargo. 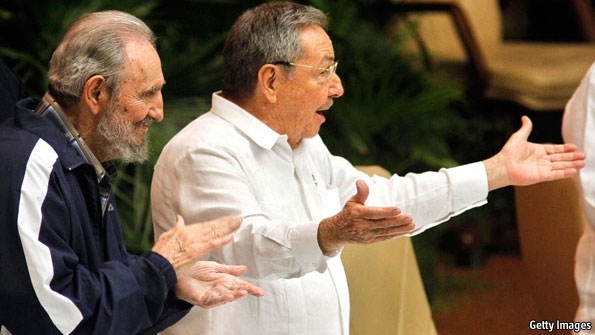 When Fidel Castro fell ill in 2006, eventually handing over power to his younger brother Raúl, many Cuban-Americans in Miami believed the elder Castro’s absence would open the door to change. The smooth transition of power led some to conclude that a new approach was needed. Many in Miami remain concerned that in pushing for normalized diplomatic relations, the Obama administration will neglect the quest for political and human rights that has long been a prime concern for Cuban-Americans. “We want to get to the same place,” said senior Obama aide Ben Rhodes to a recent town-hall meeting in Miami filled with young Cuban-Americans, some of whom were skeptical of the opening. Mr. Rhodes was the point man in the negotiations that led to the agreement with Havana 15 months ago. At the meeting, Mr. Rhodes reiterated the U.S. was no longer in the business of regime change in Cuba. He also said Mr. Obama’s policy would lead to change throughout Cuban society. While Cuba is no longer their home, Cuban-Americans say it still lays claim to their hearts and memories. “My father’s house, my grandfather’s house are in Havana. I don’t want them back,” says Pedro Freyre, a lawyer whose brother was one of 1,500 CIA-trained Cuban exiles who fought in the 1961 Bay of Pigs invasion and spent almost two years in prison before he was ransomed. On his first trip back in 2002, Mr. Sosa, the retired executive, and family members drove to Camaguey, a province on the eastern end of the island where his family had been cattle ranchers and sugar farmers. “I realized I didn’t belong there anymore,” says Mr. Sosa, whose father and brother spent nearly two years in prison after being captured in the Bay of Pigs invasion. Mr. Sosa believes Cuba faces daunting prospects, including the island’s obsession with maintaining tight control over the country’s economic and political life. Bad news for Marco Rubio and Ted Cruz: Most Cuban Americans support President Barack Obama’s normalization policy with Cuba, suggests a poll published by Miami-based Bendixen & Amandi International on Dec. 17, the anniversary of the normalization announcement by the presidents of the United States and Cuba. 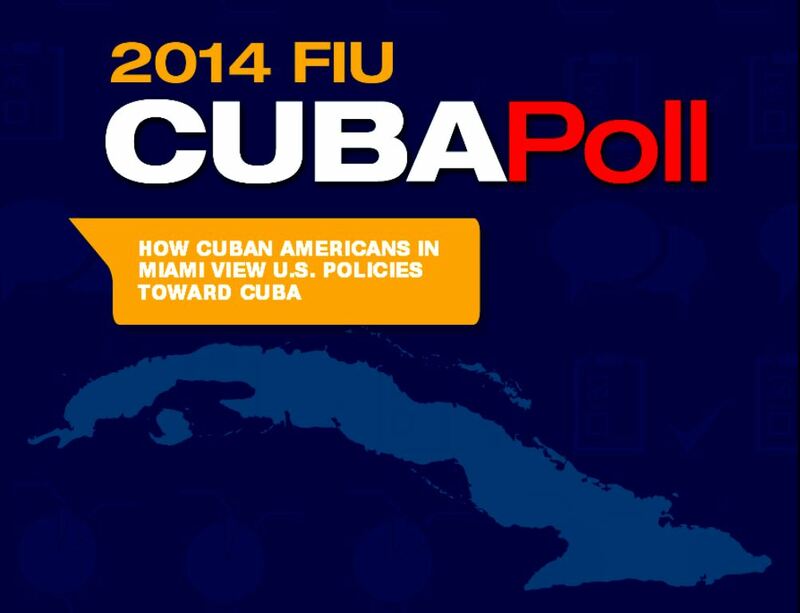 The survey’s results suggest that presidential candidates Marco Rubio and Ted Cruz, both Cuban American Republicans espousing hardline views of U.S.-Cuba relations, do not represent the majority views of the Cuban community in the United States. 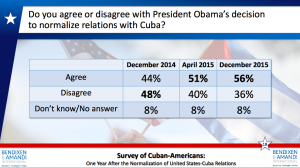 According to the poll, a clear 56% majority support Obama’s normalization policy, 12% more than a year ago, and 53% of Cuban Americans would like to see the embargo lifted, 9% more than last year. 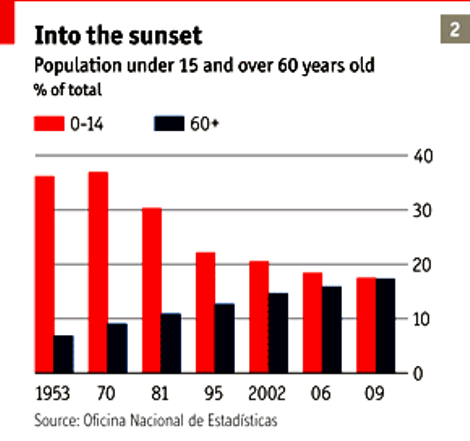 The majority is larger among younger Cuban Americans: Sixty-six percent of those age 18-49 favor an end of U.S. sanctions. 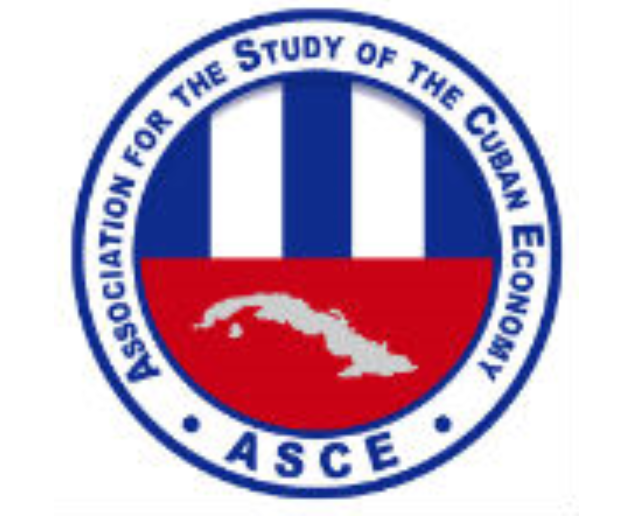 Bendixen conducted the survey Dec. 14-16 among 400 Cuban Americans. Florida, a center for histórico exiles who have been driving the U.S. sanctions policy, polls less favorable for Obama’s policy than the rest of the United States. 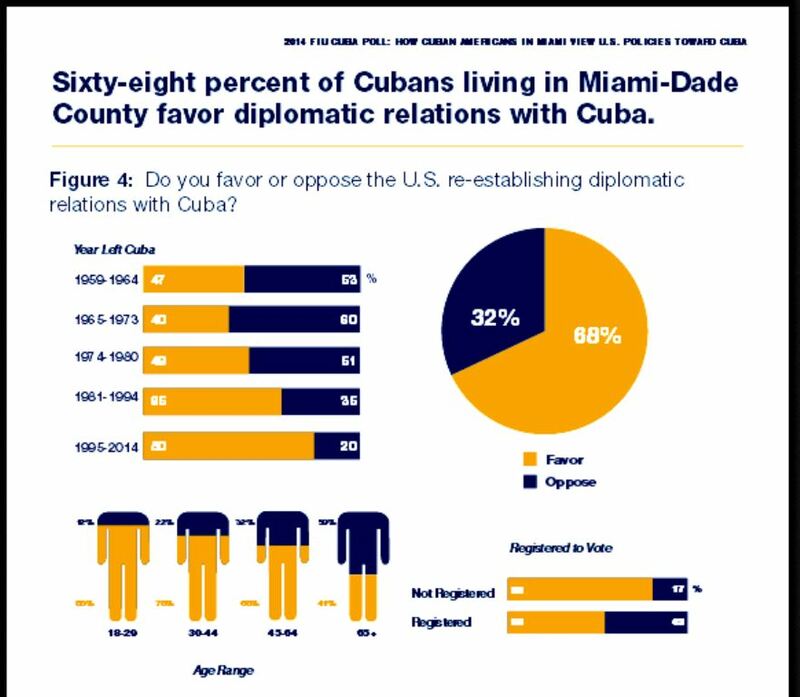 Only 41% of Cuban Americans living in Florida said they had a favorable impression of normalization policies, compared to 56% of Cuban Americans living elsewhere in the United States. 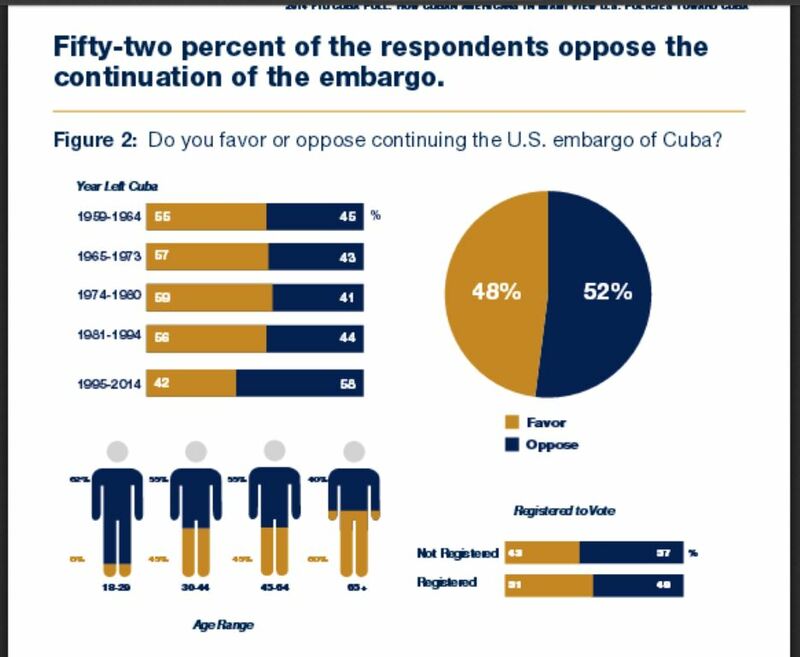 Despite broad support for his policy, 52% of Cuban Americans said they would oppose a trip to Cuba by Obama. The U.S. president announced this month that he would like to visit the island, on condition of progress by the Cuban government on human rights issues. A publication from the Catholic Church on 19 January called on all Cubans, those on the island as well as the “diaspora,” to contribute to President Raul Castro’s efforts to promote the national economy, and it asked authorities to create the legal conditions necessary to favor that. 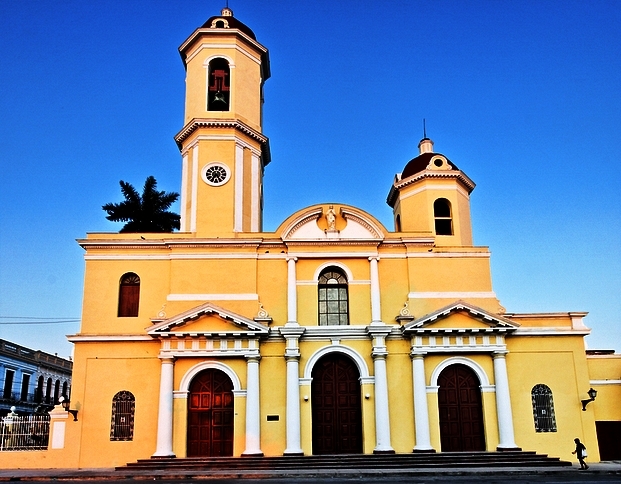 “It is not only necessary to strengthen the economy of the State, but that of each and every citizen who makes up this country, allowing them to participate in development, those who are here as well as those who are in the diaspora, for whatever reason,” read an editorial in Pasos magazine, from the archdiocese of Cienfuegos, in the central-southern part of the island. “Everyone should contribute according to their talents, qualities, and gifts and to the extent that they believe it is fair and necessary, and government and legislative agencies should create the laws and conditions suitable for that to happen, it added. Those changes include extending private work, authorizing small private businesses and cooperatives, autonomy for state businesses, and eliminating subsidies, as well as putting an end to a half-century ban on buying and selling houses and cars, among other things. 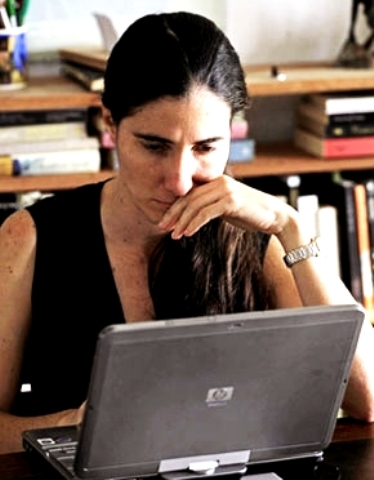 The Church, which since May 2010 has been in dialogue with the government, which released approximately 130 political prisoners, expressed its support for the reforms, but until now it had not publicly asked for an opening-up to investments from Cuban emigrants. 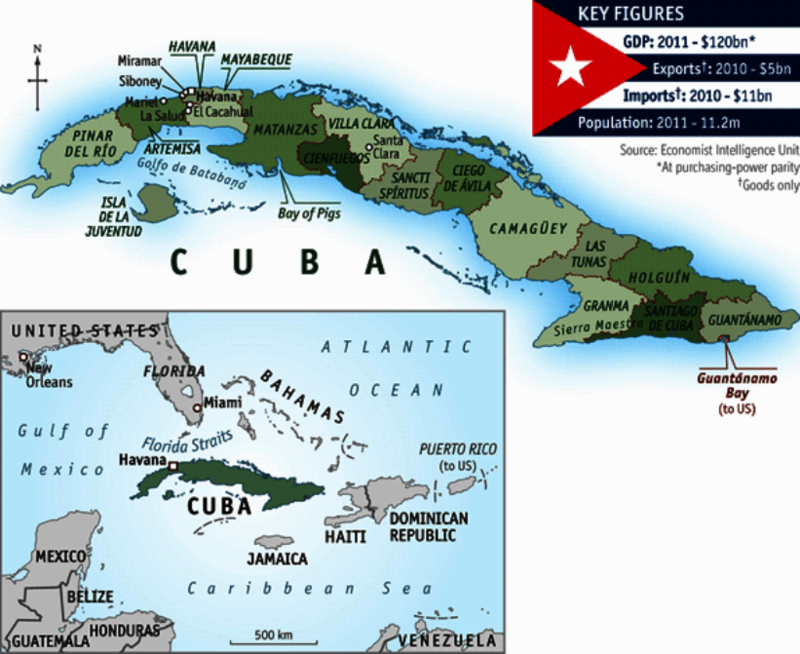 At least two million Cuban emigrants and their descendants live in 40 countries, over 80% of them in the US. They currently contribute to the islands economy by sending approximately $2 billion a year in family remittances, according to UN estimates.